The strength of DELTA is its employees, the way they collaborate, learn, grow and share. The Staff Accolades section captures the activities, achievements and expertise of our staff during 2017-2018. The map above points to how we “think and do” by sharing best practices with higher education professionals at conference presentations across the country. July 21, 2017, Boone, N.C.
July 25-27, 2017, New Orleans, La. August 17, 2017, Elon, N.C.
October 2-4, 2017, Greenville, N.C.
October 19, 2017, Durham, N.C.
October 20, 2017, Raleigh, N.C.
November 6-8, 2017, Miami, Fla.
November 15-17, 2017, Orlando, Fla.
December 5-7, 2017, Washington, D.C.
January 24, 2018, Raleigh, N.C.
January 29-31, 2018, New Orleans, La. February 21-22, 2018, Durham, N.C.
February 22, 2018, Raleigh, N.C.
March 14-16, 2018, Baltimore, Md. April 5, 2018, Winston-Salem, N.C.
April 16-18, 2018, San Diego, Calif.
June 1-3, 2018, Atlanta, Ga.
June 24-27, 2018, Jekyll Island, Ga.
June 26-28, 2018, San Jose, Calif.
Dr. Tom Miller speaks about Laura Stephenson, during Unleash 2017. Photo courtesy SonicFoundry. 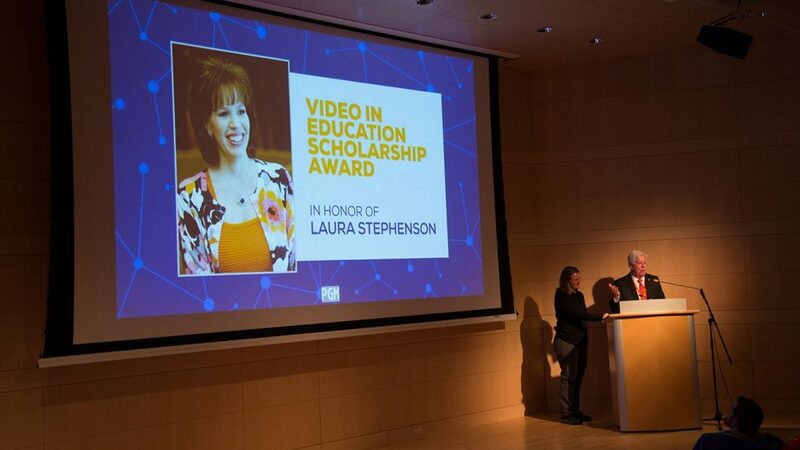 The SonicFoundry Video in Education scholarship was renamed to honor Laura Stephenson, a longtime NC State employee and Mediasite advocate, who passed in October 2016. Jonathan Champ was nominated for helping draft a proposed policy for parental leave at NC State. 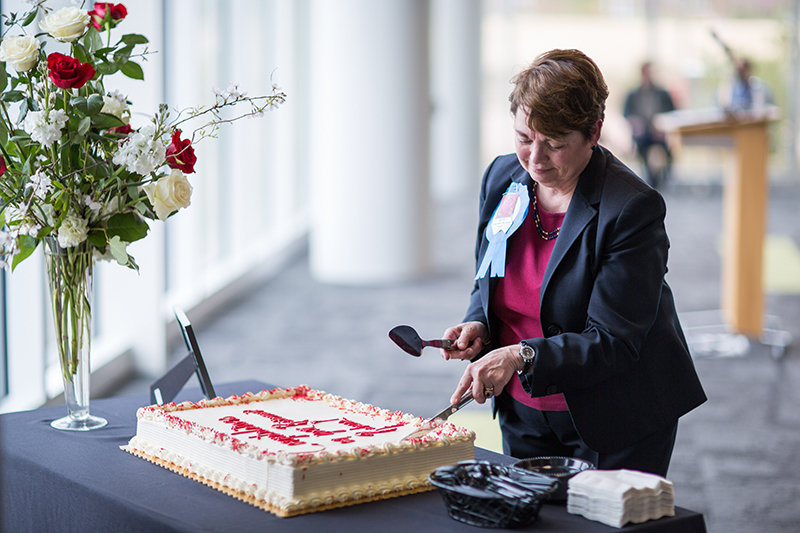 During her 22-year career at NC State, Rebecca Swanson provided vital leadership for Online and Distance Education until her retirement in April 2018.